Plot and compare different years and ranges. 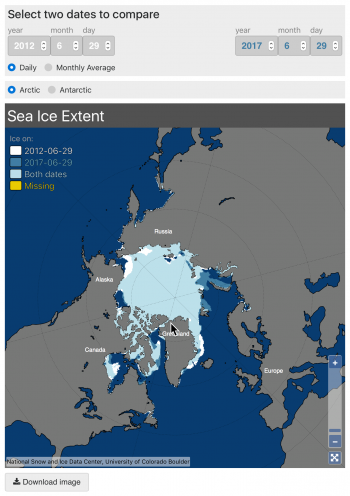 Obtain daily sea ice extent values, ranges, and median values for the Arctic or the Antarctic. These Excel workbooks organize Arctic and Antarctic sea ice data in spreadsheets for ease of analysis. See the “Documentation” tab in each workbook for more description, and links to more information about the workbooks. 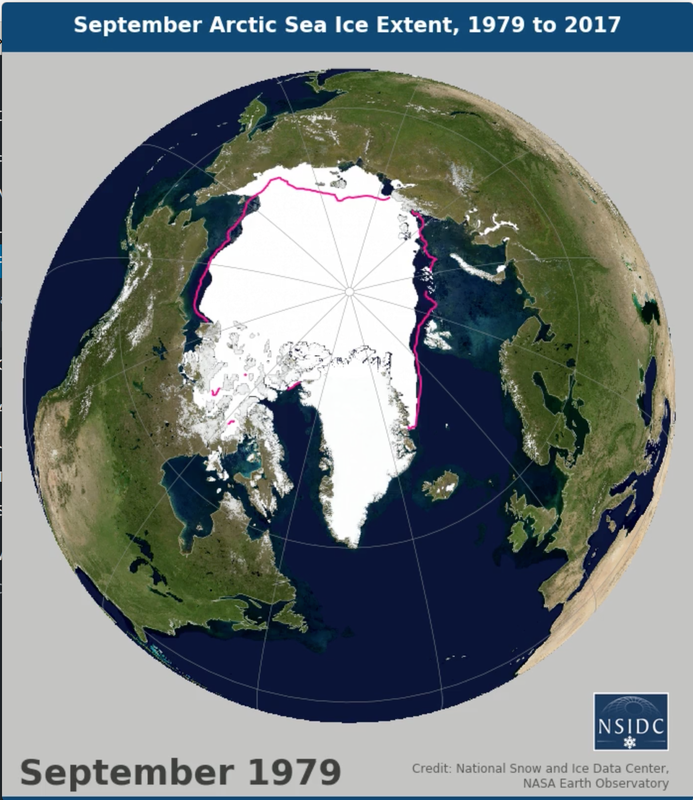 You can also access the standard Sea Ice Index data files at ftp://sidads.colorado.edu/DATASETS/NOAA/G02135/. Extent and area values and climatologies are in comma-separated values (.csv) files, organized by hemisphere, daily or monthly. These directories also contain daily and monthly image files in PNG and GeoTiff formats. Spatially compare sea ice extent for any two days or months between 1979 and present. Animations of sea ice extent or concentration averaged for September, in movie format. The magenta line shows the median ice edge for 1981 to 2010.